The Al Basti Equiworld New Zealand 2000 Guineas is one of the most prestigious races on the New Zealand thoroughbred calendar, and this year’s Riccarton classic produced yet another Group One triumph for the emerging global powerhouse China Horse Club. The Murray Baker and Andrew Forsman-trained Madison County exploded out of midfield in the last 250 metres of the $500,000 feature, running down the previously unbeaten Dawn Patrol and sprinting clear by two and a half lengths to confirm his place at the top of his generation. 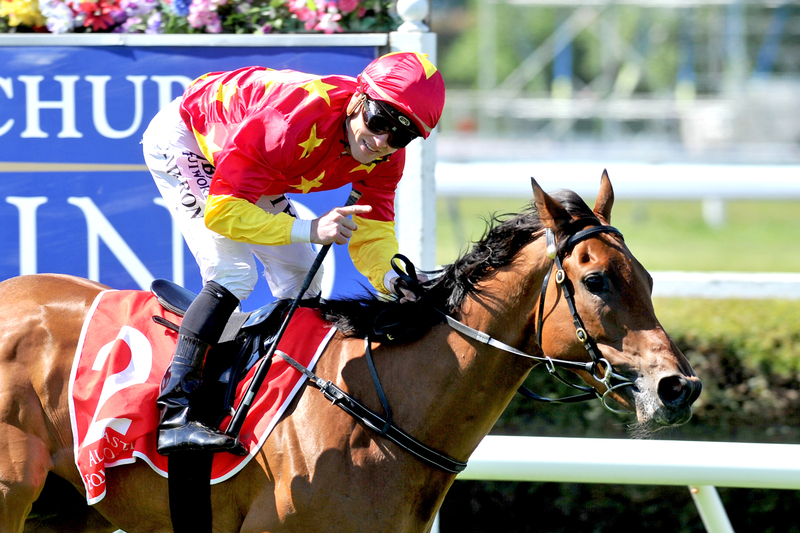 It was a first New Zealand Group One win for the red and yellow colours of the China Horse Club, which have previously been carried to elite victories by the likes of global megastar Justify (unbeaten 2018 Triple Crown winner), Abel Tasman (2017 Kentucky Oaks) and Australian runners Dissident (two Group Ones), Russian Revolution (two Group Ones) and many more. “It’s my first time here at Riccarton, and it’s an honour,” the group’s founder and chairman Teo ah Khing said. “We’re blessed to be able to share this horse with New Zealand, and with our partners around the world. “It was an incredible run by Madison County. All credit to the trainers and the horse. “This was a historic first Group One win in New Zealand after five years. New Zealand was one of the first countries we came to, and it took us five years to get to today. The China Horse Club has another Kiwi connection in the form of its racing and bloodstock manager Michael Wallace, who grew up on the Wallace family’s renowned Ardsley Stud in the Wairarapa. He has become a key member of the operation, instrumental to the acquisition of many star performers including the US$500,000 yearling purchase Justify. In contrast, Wallace paid just $36,000 to buy Madison County as a yearling at Karaka, from the draft of breeders Waikato Stud. “As I cast my mind back to the Karaka Sales of 2016, I recall buying a Savabeel filly I thought was very nice, the pick of the crop in my eye,” Wallace said recently. “Out of Love Diamonds and hailing from one of the best Cambridge Stud families, I was forced to dig in on her, to fend off the spending power of the global racing giant, Shadwell. A cool $640,000 later and I knew I’d signed up for a bunch more grey hair, stress and sleepless nights. However, I have a very good backer in the China Horse Club. They know the risks. They trust me. “As we convened the next day, China Horse Club Chairman Mr Teo ah Khing and I sat and pondered the Premier Sale, overall happy with our purchase of such a nice filly, with a long-term view for our racing and breeding portfolio. We were done buying. Then an interesting conversation began. “Are you any good at buying me a good horse with a small budget?” posed my CHC boss. “A quick back and forth retort and a challenge was laid out. I was tasked to buy two horses from the Karaka Select Sale, one colt, one filly, with a maximum spend on either capped at $50,000.